Battery is not included. A 12v 16Ah-24Ah battery is required (plus charger). Steel is not included. Can be fitted to most backward falling steel. 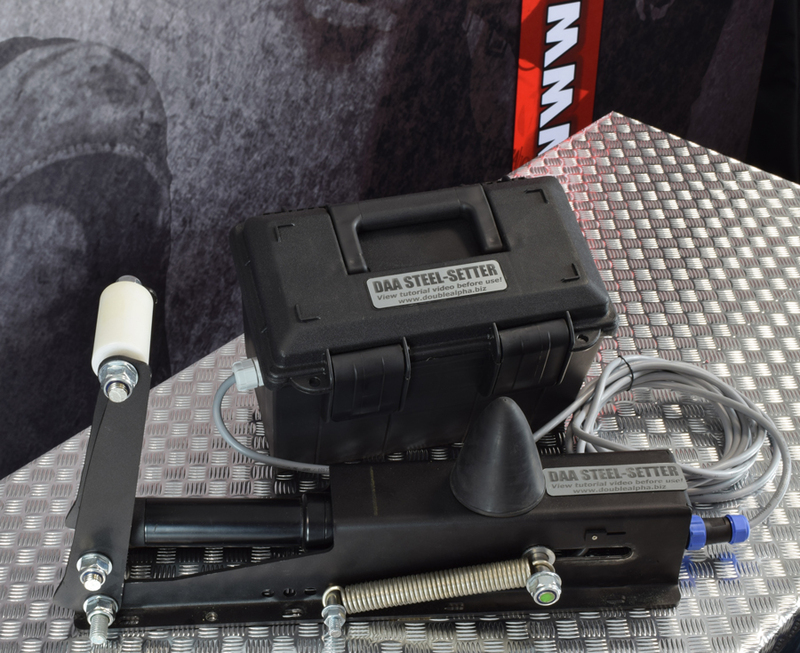 The DAA Steel-Setter is a motorized steel-resetting system which is designed to be attached to any backward falling steel. It is capable of resetting a full-size Pepper Popper, and with its weatherproof, battery powered and user-controlled reset delay, offers a perfect solution on any range and at any distance! The actuator motor is a top quality hi-torque screw-driven actuator, capable of creating the force needed to reset the steel within about 5 seconds. It is shielded inside a custom, laser-cut and precision-folded steel housing which protects it from bullet splash. All steel parts are powder coated or stainless steel, to allow the unit to be rust and weather resistant. The motor and cable connector are IP65 waterproof and can operate in the rain. The entire unit is designed to be maintenance-free and totally reliable. 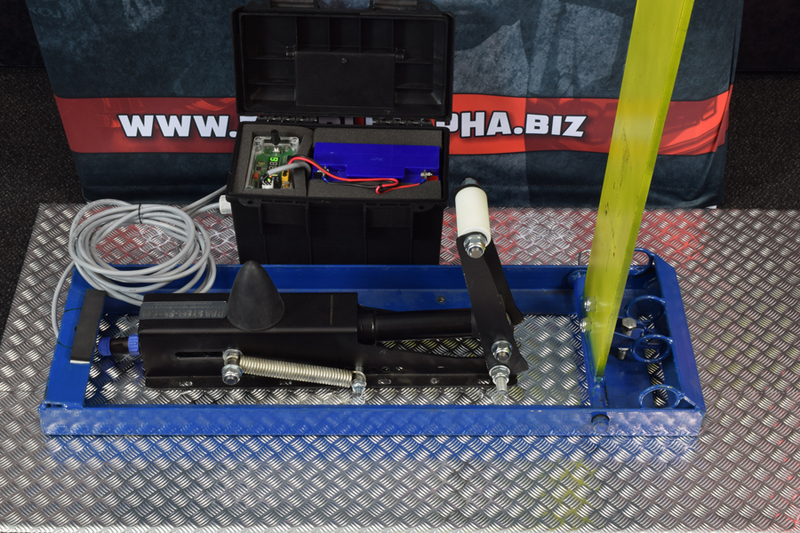 The actuator unit is designed to have a small as possible footprint, making it easy to fit behind any backward falling Pepper Popper or likely shaped steel target. The footprint size of just 10 cm wide and 50 cm long makes it possible to assemble the unit even behind a mini Popper where it is fully concealed. The only real requirement is that the target falls backward. 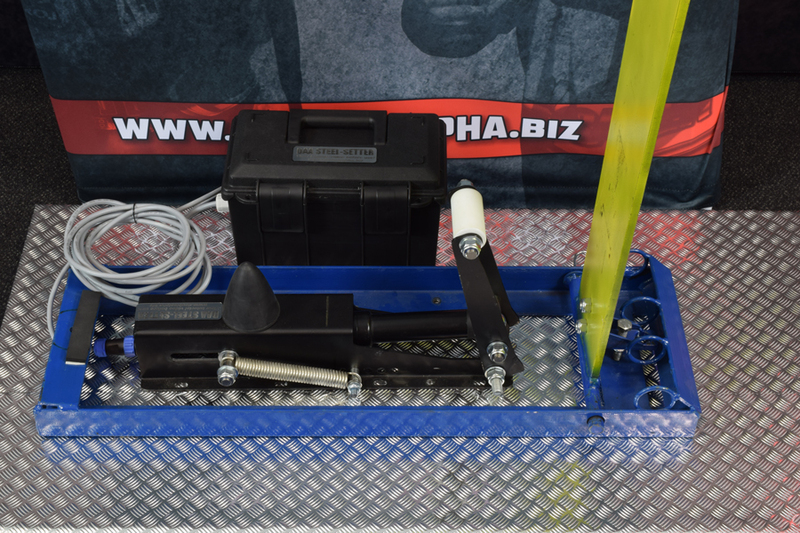 You either attach the DAA Steel-Setter actuator unit to the base of the popper (by drilling appropriate holes) or, if the popper does not have a solid base, you mount both the Popper and the DAA Steel-Setter to a common solid base, such as a wooden pallet or thick wooden board. 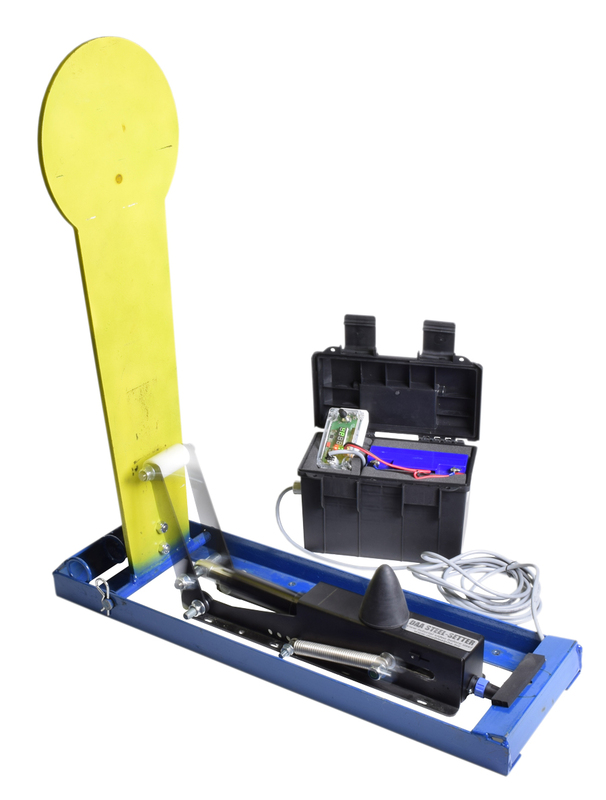 The actuator unit, which is bolted behind the target, is connected via a 5 meter-long cable to the waterproof box which houses the battery and the electronic controller unit. 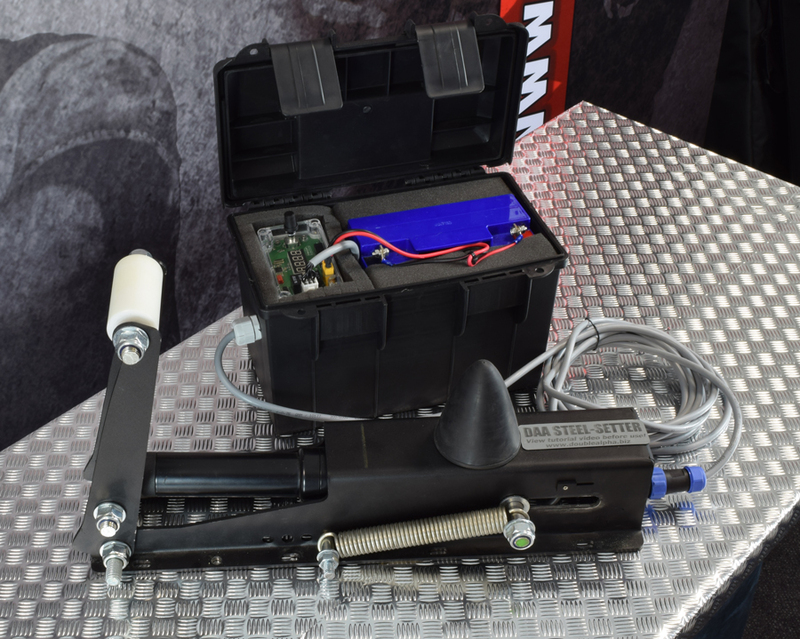 This controller unit allows the user to power the unit On or Off, or to set the custom delay for the reset of the target from 3 seconds up to 999 seconds (just over 16 minutes). It also provides access to the Calibration mode, needed for positioning the Actuator unit during initial setup or when moving the system to a new target. 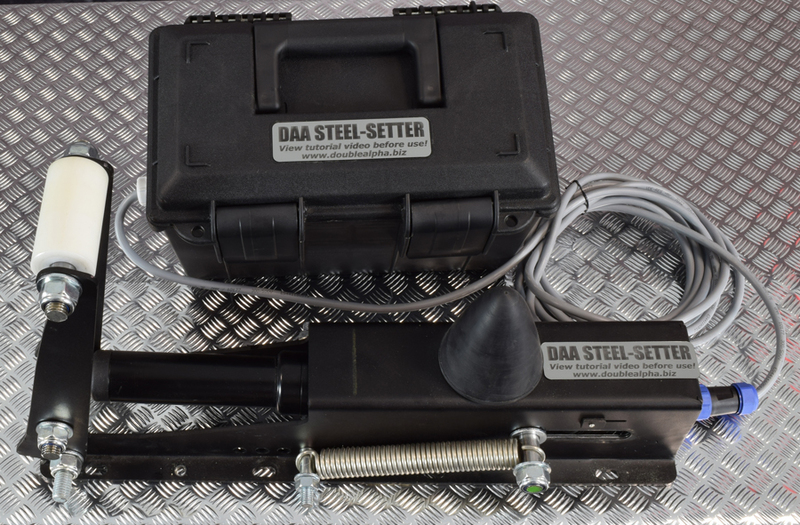 The DAA Steel-Setter can be powered by any dry cell 12V DC battery which provides 9A or more. We recommend using a 16A or 20A capacity battery. 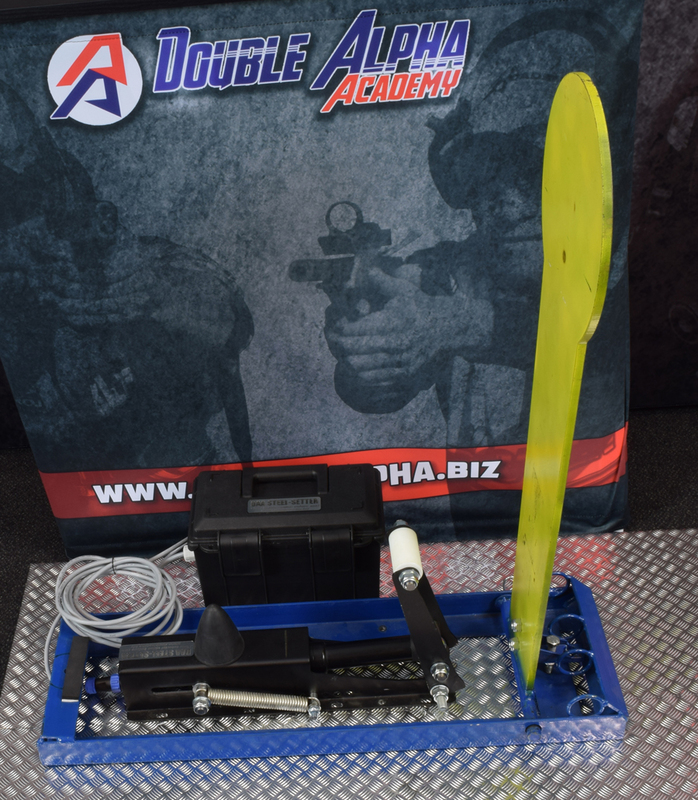 Tests have shown that a fully charged 16A battery will provide about 450 lifts of a full size Pepper Popper target. A good quality 20A battery will supply power for over 600 lifts of the target. Please note: The unit is sold without a battery! The pick-and-pluck padding in the waterproof box enables you to pluck out and fit the battery of your choice. We supply the unit without the battery, as the heavy battery adds to shipping costs and often creates transport restrictions with international shipments. These types of batteries are available for purchase locally or online from countless vendors, and should range in the €25-€50 price range. Check our website for suitable battery recommendations.